Other photos: Manufacturer Provided Image: Princess 68 Stern, Manufacturer Provided Image: Princess 68 Side Profile, Manufacturer Provided Image: Princess 68, Manufacturer Provided Image: Princess 68, Manufacturer Provided Image: Princess 68, Manufacturer Provided Image: Princess 68, Manufacturer Provided Image: Princess 68 Side Profile, Manufacturer Provided Image: Princess 68 Anchored, Manufacturer Provided Image: Princess 68, Manufacturer Provided Image: Princess 68 Saloon, Manufacturer Provided Image: Princess 68 Galley, Manufacturer Provided Image: Princess 68 Galley Detail, Manufacturer Provided Image: Princess 68 Saloon Seating Area, Manufacturer Provided Image: Princess 68 Saloon Detail, Manufacturer Provided Image: Princess 68 Helm, Manufacturer Provided Image: Princess 68 Helm, Manufacturer Provided Image: Princess 68 Master Stateroom, Manufacturer Provided Image: Princess 68 Master Stateroom, Manufacturer Provided Image: Princess 68 Dressing Table Detail, Manufacturer Provided Image: Princess 68 Master Bathroom, Manufacturer Provided Image: Princess 68 Forward Cabin, Manufacturer Provided Image: Princess 68 Forward Bathroom, Manufacturer Provided Image: Princess 68 Starboard Twin Cabin, Manufacturer Provided Image: Princess 68 Starboard Bathroom, Manufacturer Provided Image: Princess 68 Port Twin Cabin, Manufacturer Provided Image: Princess 68 Flybridge Layout Plan, Manufacturer Provided Image: Princess 68 Upper Deck Layout Plan, Manufacturer Provided Image: Princess 68 Lower Deck Layout Plan. A space surrounded by the sun, the sea and the light. The 68 Flybridge's newest and most sophisticated PRINCESS Yachts. leads to the living room. with all the necessary options for a unit of this stature. SYS Yacht Sales is pleased to assist you in the purchase of this vessel. 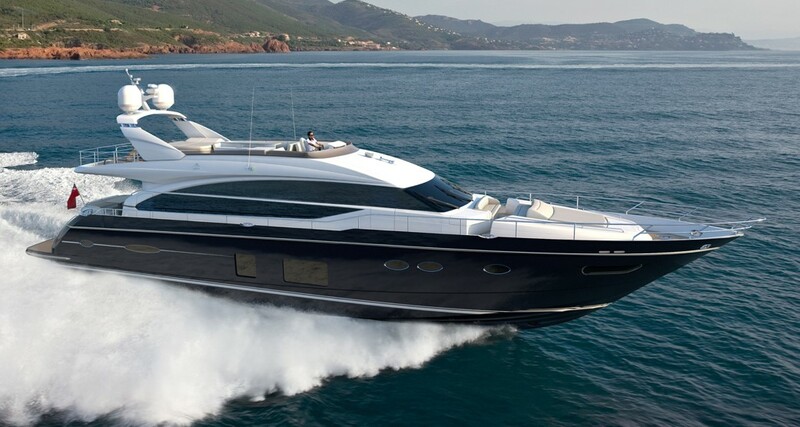 This boat is centrally listed by Poseidon Yachting.